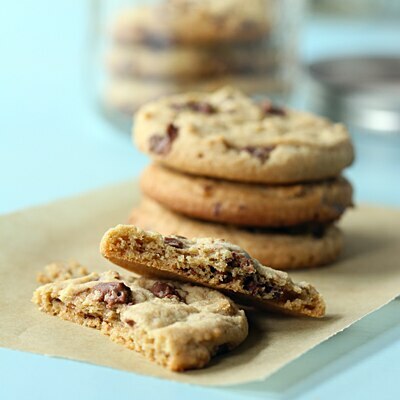 This Peanut Butter Crunch Cookies recipe features an amazing flavor combination of chunky peanut butter mixed with Nestlé Crunch candy. Your kids will love these. COMBINE flour, baking soda and salt in large bowl. BEAT butter, peanut butter, brown sugar and granulated sugar in large mixer bowl until creamy. Beat in eggs and vanilla extract. Gradually beat in flour mixture. Stir in chopped Crunch bars. Drop by rounded tablespoon onto ungreased baking sheets. BAKE for 9 to 11 minutes. Cool on baking sheets for 2 minutes; remove to wire racks to cool completely.